The sunglasses she is covering her face with, are the Agate Glasses from Mokoptica. 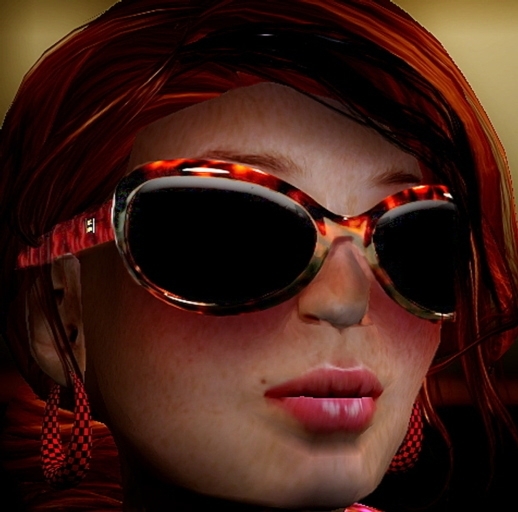 The horn frame gives the face a soft look, with the big dark glasses she really set a fashion statement. Combined with red hair the complete look is stunning and a perfect match.